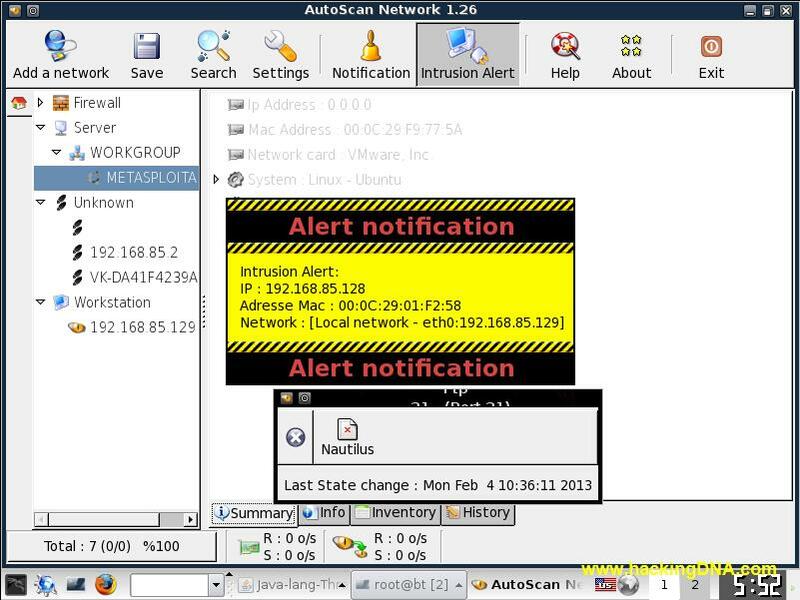 Autoscan is the networking discovery and managing application . The main purpose of this tool is to display the list of machines/equipments in your network . AutoScan is a free software . AutoScan is licensed under GNU Public Licensed (GPL) . No priviledge account is required. Realtime detections of machines/equipments . 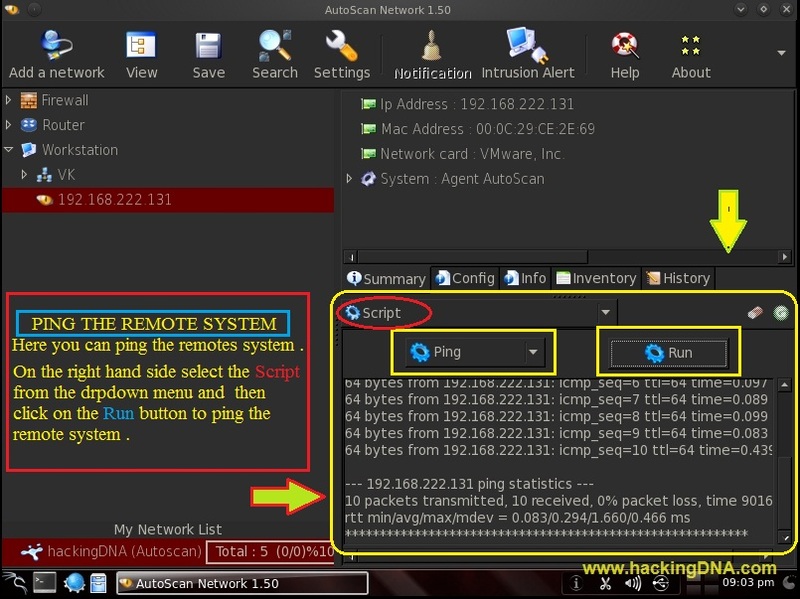 Automatic Detection of known Operating System . Intruder Detection ( in ID mode ,all machines are blacklisted). Save your Scan result in XML file . 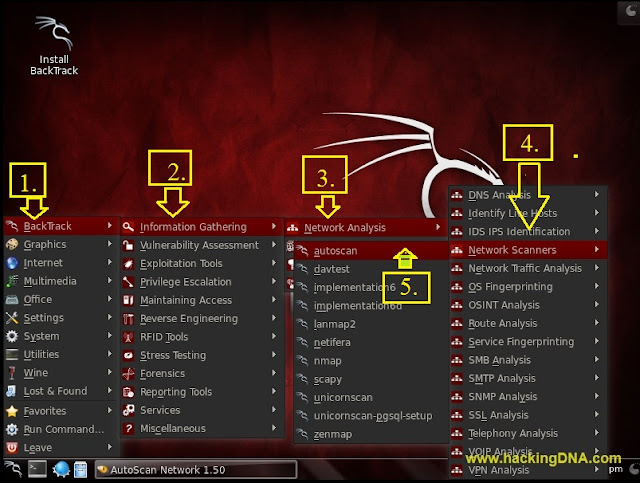 As soon as we launch it , autoscan will load on your Backtrack 5 . 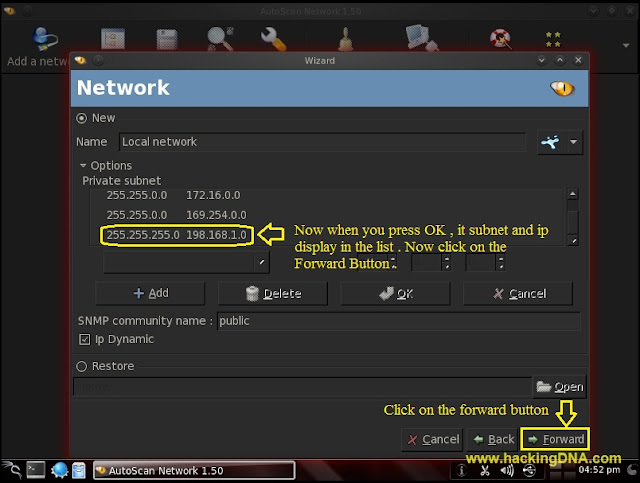 After configure the Network ,click on the Add button . After click on the OK buton , your subnet and ip is now added to the list . In this step , select the Localhost option and click on Forward Button . And at last click on the forward button . In this step , it ask to confirm our settings . Click on the forward button . Below image shows that Name of the Network is Local network and interface is eth0 . In my local network , it shows the 5 ip addresses . When you click on the info tab ( mention in the image ) then it display all the Open TCP , UDP ports with other information . Save your file in .xml format . click on the Save icon and save your file in .xml format . Using TELNET Service on Backtrack 5 . Now this is a intrusion alert example. Below you can see the 'Alert notification'. Whenever anyone trying to access , it will shown the Intrusion alert . These are some few examples , you can do lots of other things to gathering information . If you like this tutorial , and want to share your experiance , drop your comment here .